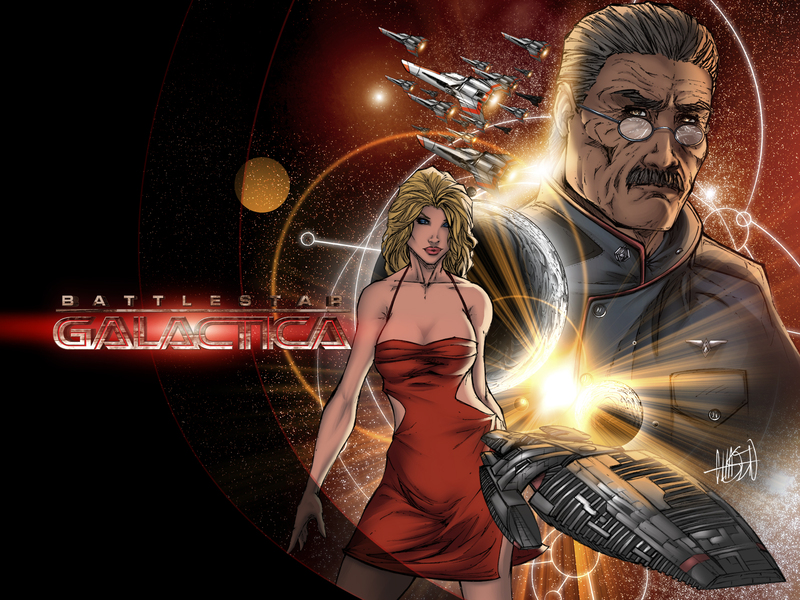 Here's a thread to come and talk about arguably the best show on television: Battlestar Galactica. From technology, to the characters, to the episodes, to the latest news from the creators, an everything in between, this is your place to come and talk. Just remember to have fun with it. All right, first order of business: Tory spaced Cally! I mean, wow, just wow. Now, begin with the talking. I reserve the right to have a flashy opening picture . . . and be cheeky. Yeah, I wasn't too surprised by the little ambush that Brother Cavil laid out for the Sixes and Eights, but man... I said it before and I'll say it again - I frakkin' hate Tory. I hope to God that Galen puts a bullet in that two-bit w**re's head. Yes, well, it was the best pic I could find. I said it before and I'll say it again - I frakkin' hate Tory. I hope to God that Galen puts a bullet in that two-bit w**re's head. You know, I wasn't sure if I agreed with you about that . . . until I saw Friday's episode. Tory trying to convince people that they're perfect? That just grinds my gears. I just caught up on the last episode... and holy frak! You say that after every episode. Unconscious, if I had my way. Well, I think it's time to revive this thread, and what better way to revive the thread then with talking about the latest episode? Now if you haven't seen it yet you can catch up on all the latest episodes here on Hulu.com. OK, now something that struck me about this episode was that Roslin is seeming to start to believe in the monotheistic thread that's been running through the entire series. It's interesting to see her - to me at least - so easily reject the gods that she's claimed to be chosen by almost the entire series. Somehow I find it hard to believe, but then again, Roslin is an interesting character. I've got to say, I've been waiting a long time for the Colonials to team up with some of the Cylons, and I'm glad it's finally happened; especially since Nicole is such a kick-*** character. However, (And this is a biggy) I get Nicole shooting the other Six in the back of the skull at point-black range after said Six killed Baraley, I get that. What I don't get is why she kissed her sister on the lips before doing the deed. That was just whack. Now, I really hope they beck in time to save Felix's leg. Also, is it just me, or is Athena the most anti-Cylon member of the cast?
. . . Now I'm sorry, but that's just the way I feel. What'd do think? Edit: Also, the Cylon hanger doors, creeeeeeeepy. Yeah, I always wondered what would happen if he did something like that.